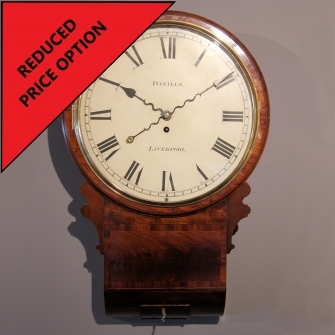 An attractive mahogany wall clock. 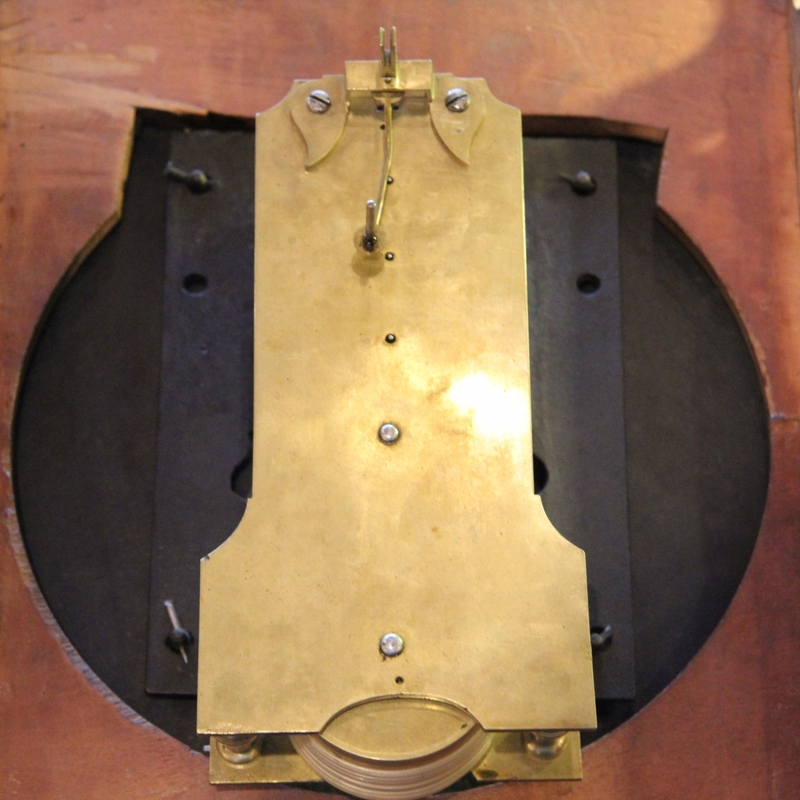 The eight day duration, gut fusee movement with Anchor Recoil escapement, knopped pillars and unusual shaped plates. 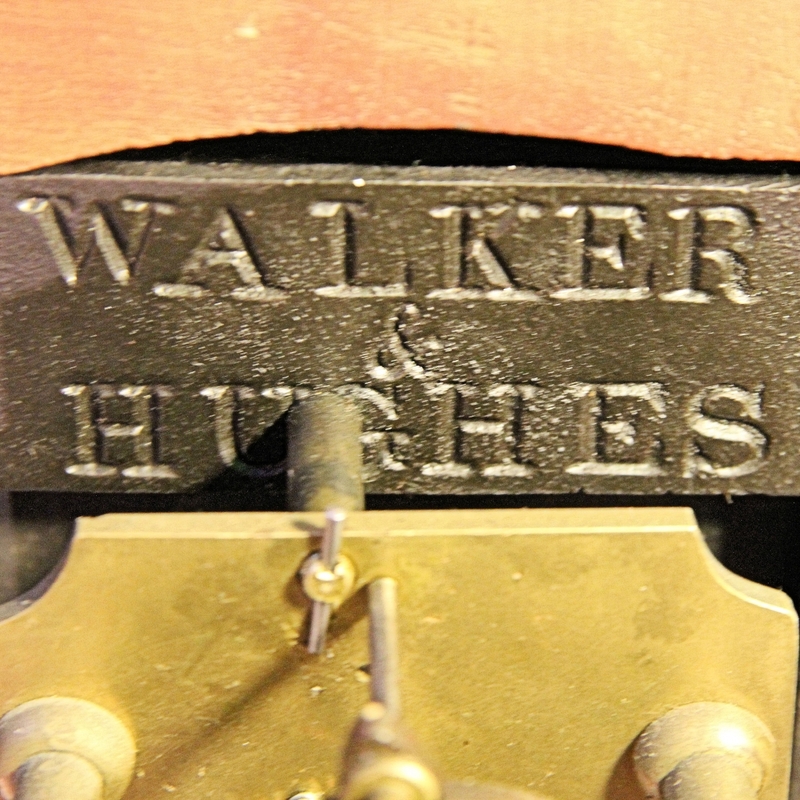 Fitted to a 14" diameter, white painted iron dial via a false-plate stamped "WALKER & HUGHES" (well known Birmingham dial makers). 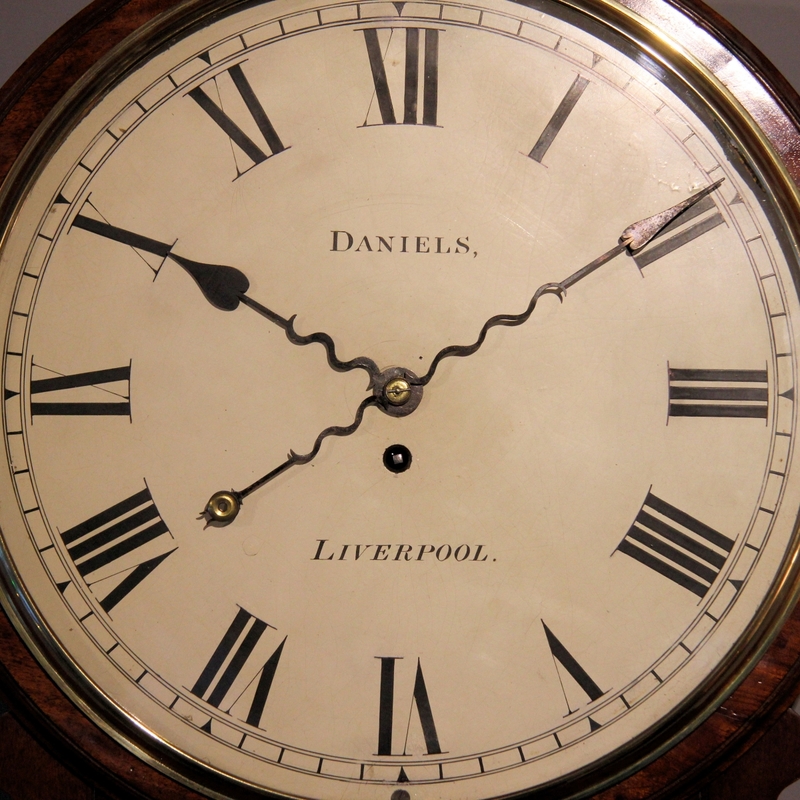 Having black Roman numerals, bordered minute ring and the maker's signature "DANIELS (of) LIVERPOOL" above and below the centre. Also having matching steel 'Serpentine', spade hands with the minute hand counterpoised. Contained in a mahogany case with a locking cast bezel and flat glass, shaped trunk ears, a rounded trunk bottom with a cockbeaded curved door, two side access doors and the trunk front having a crossbanded centre panel. 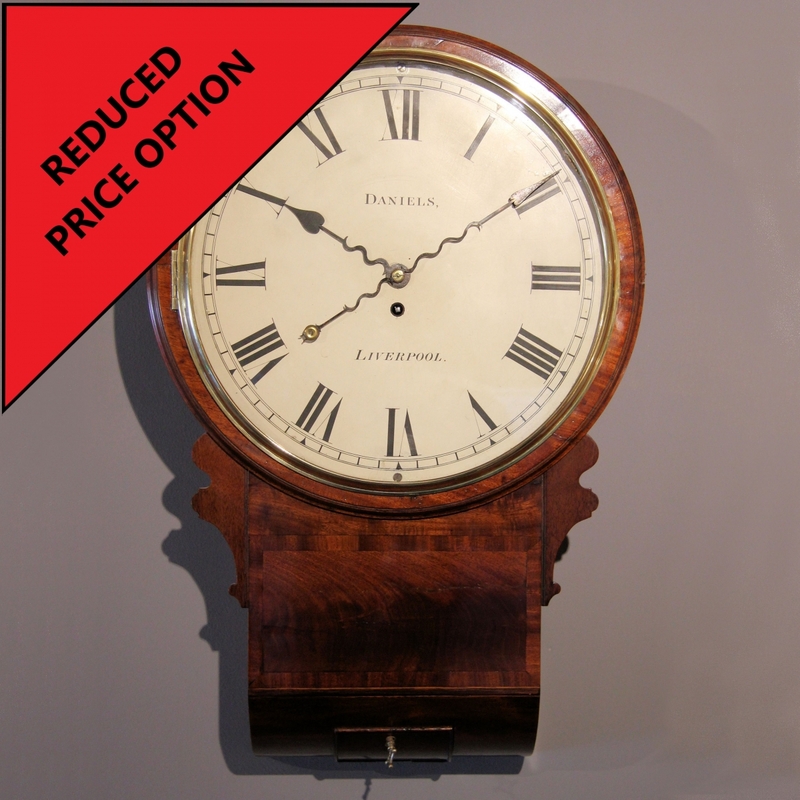 * John and Henry Daniels are listed as working 1824 - 1851. Dimensions: 25 1/2" high x 17" wide x 7" deep.